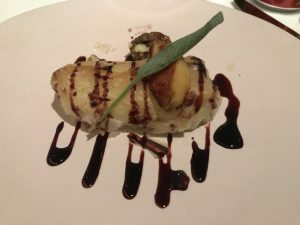 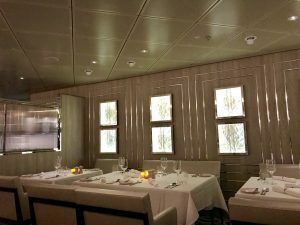 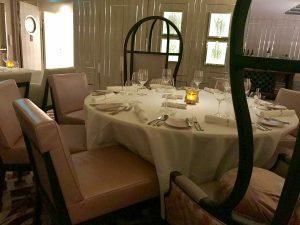 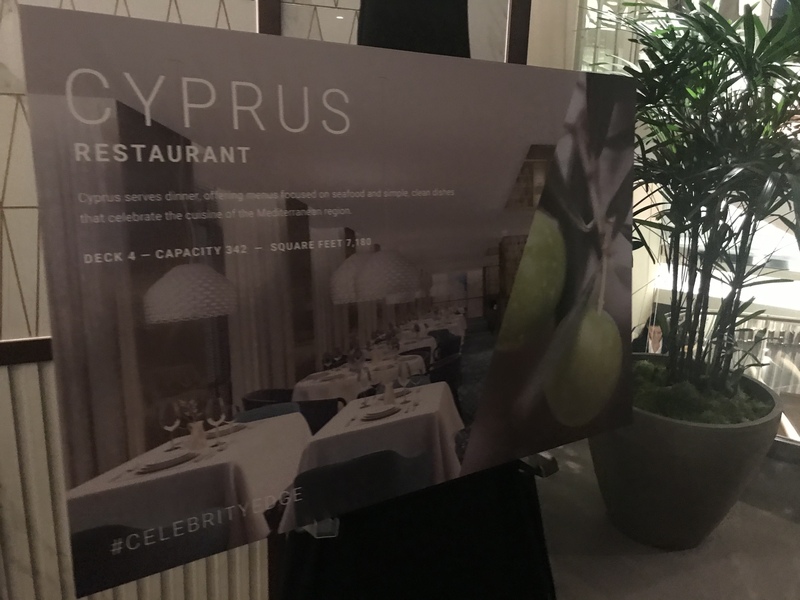 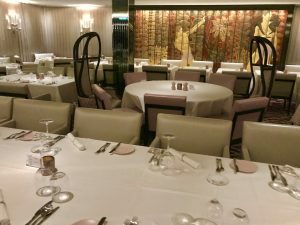 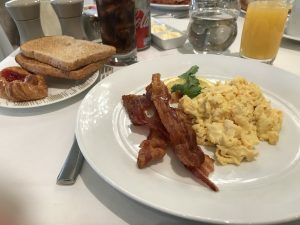 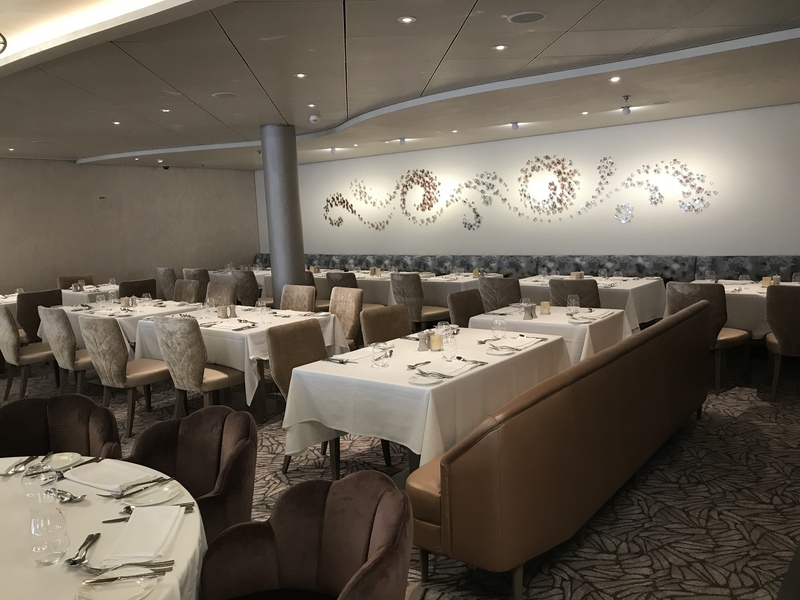 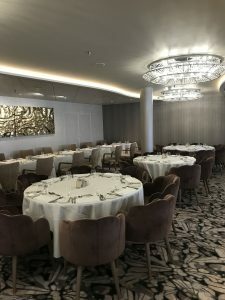 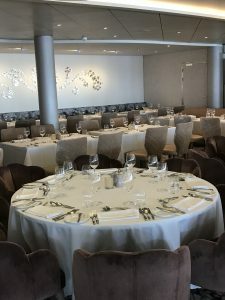 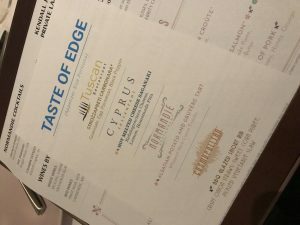 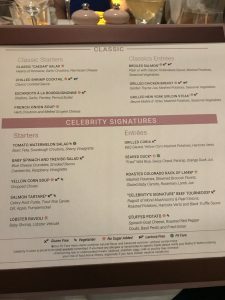 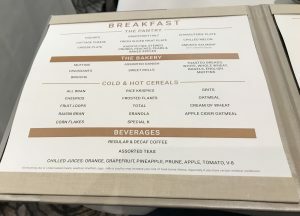 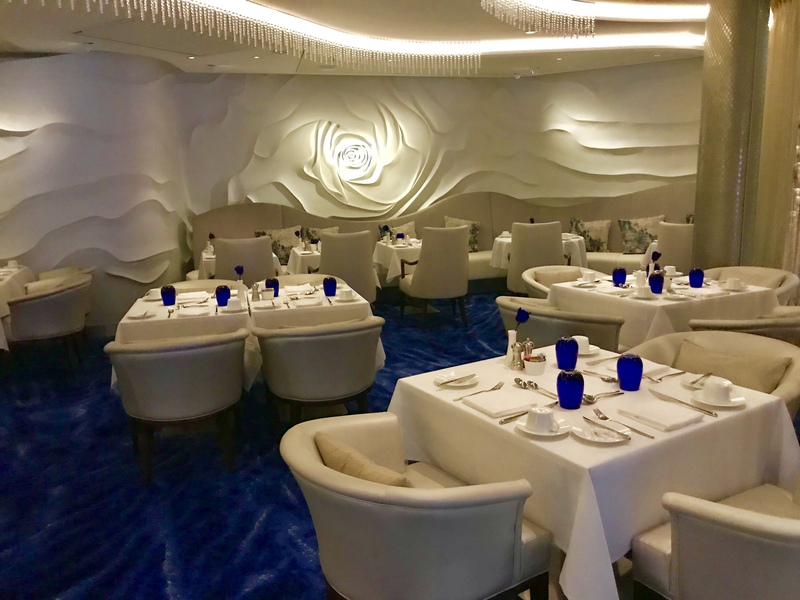 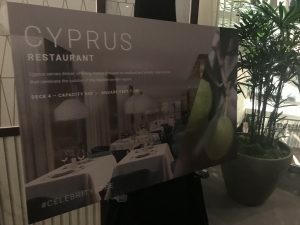 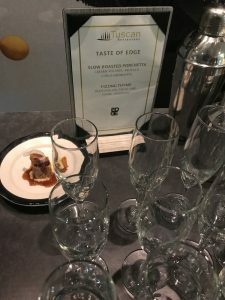 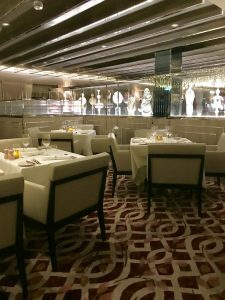 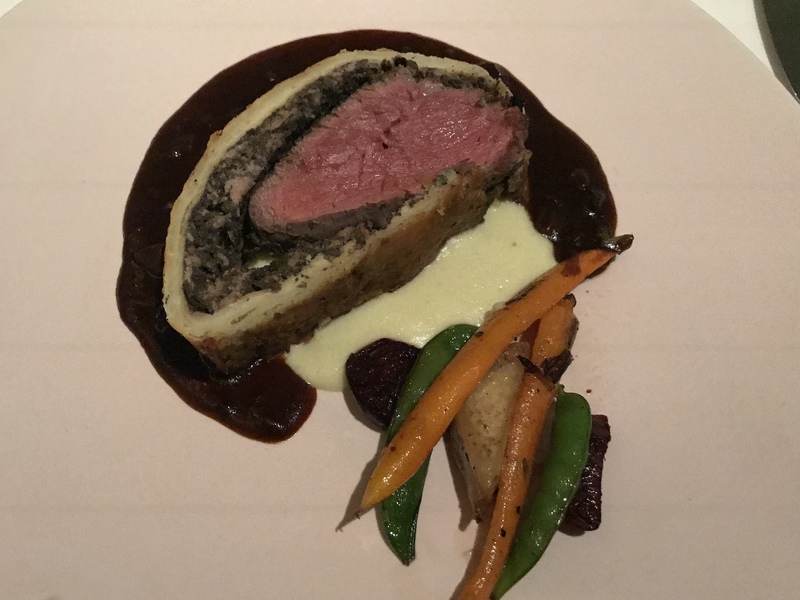 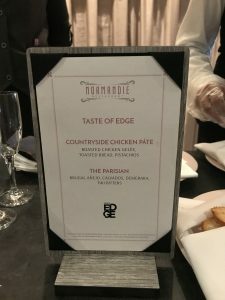 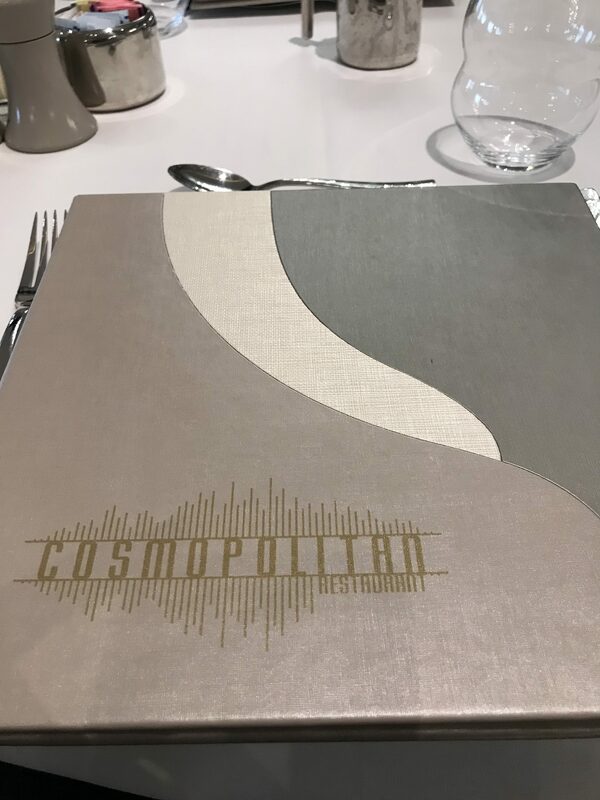 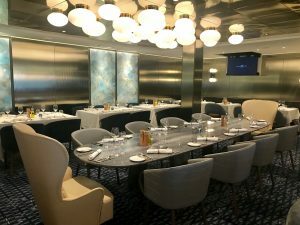 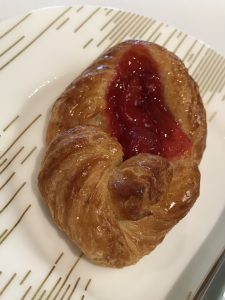 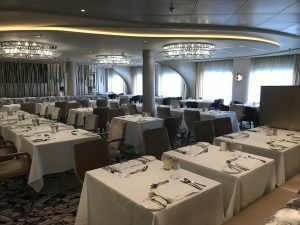 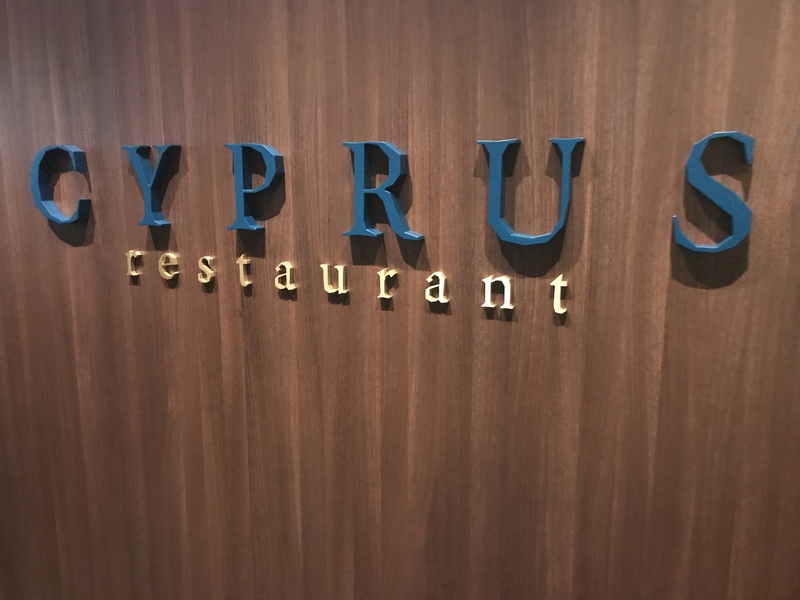 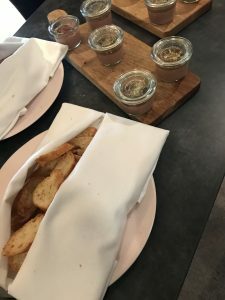 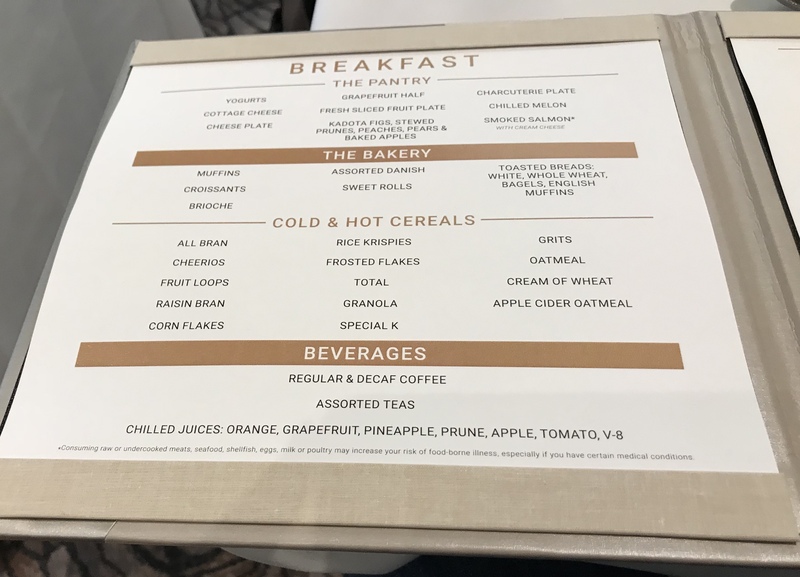 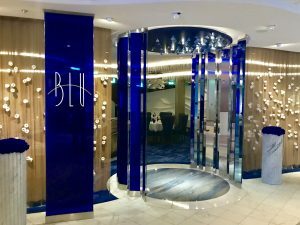 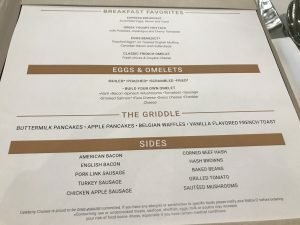 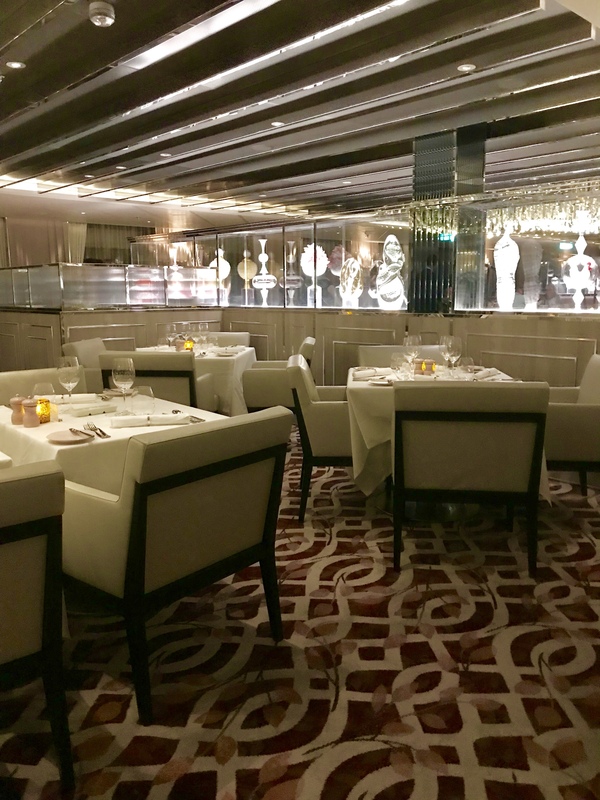 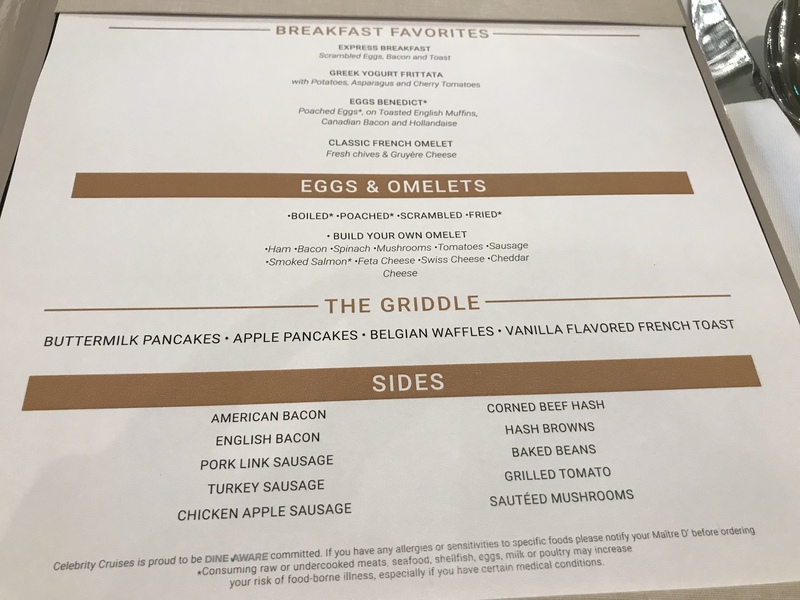 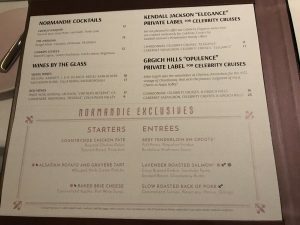 Celebrity Edge Preview Cruise, Main Dining Rooms | What's Up With The Mouse? There are Four Main Dining rooms included with your Celebrity Edge vacation. 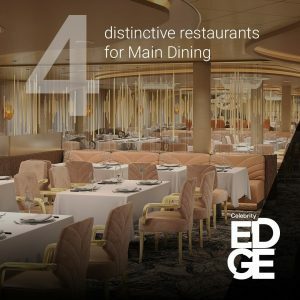 You can dine in anyone you choose, even if you are assigned one specifically for your entire cruise vacation. They can all be pre-reserved before you board or you can make a reservation once on board or walk up to check availability as well. 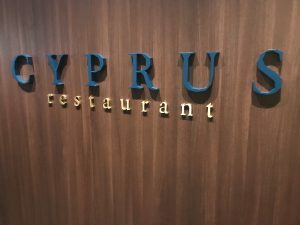 For the most part, they all service pretty much the same offerings but do offer exclusive dishes in each location. 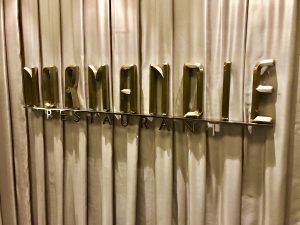 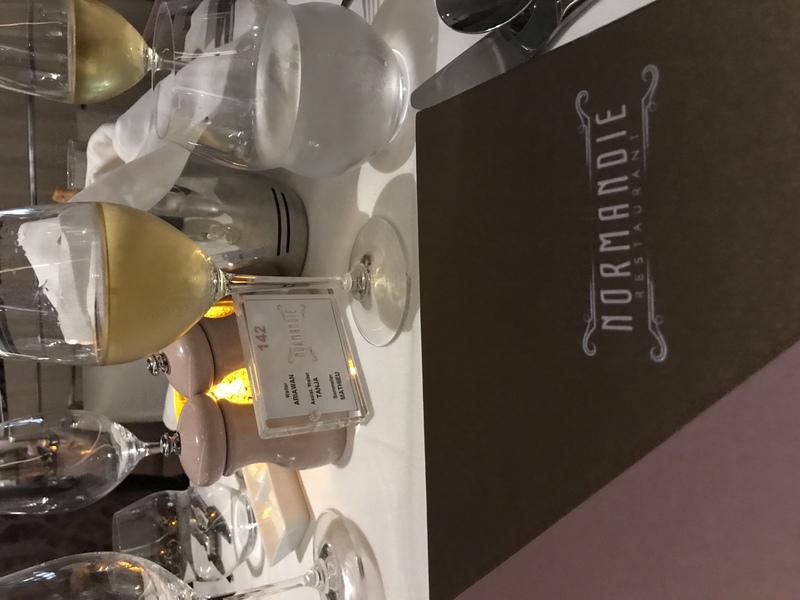 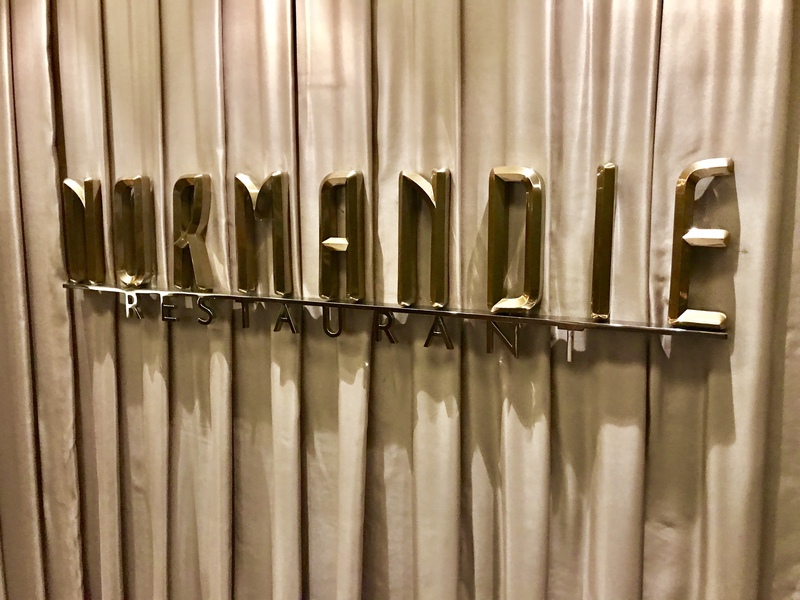 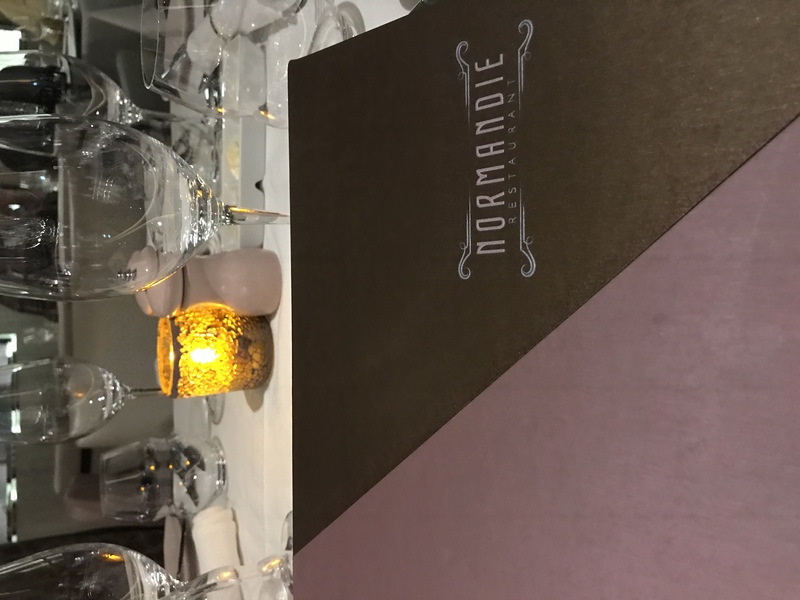 We were assigned to dine inside Normandie, which is absolutely GORGEOUS. 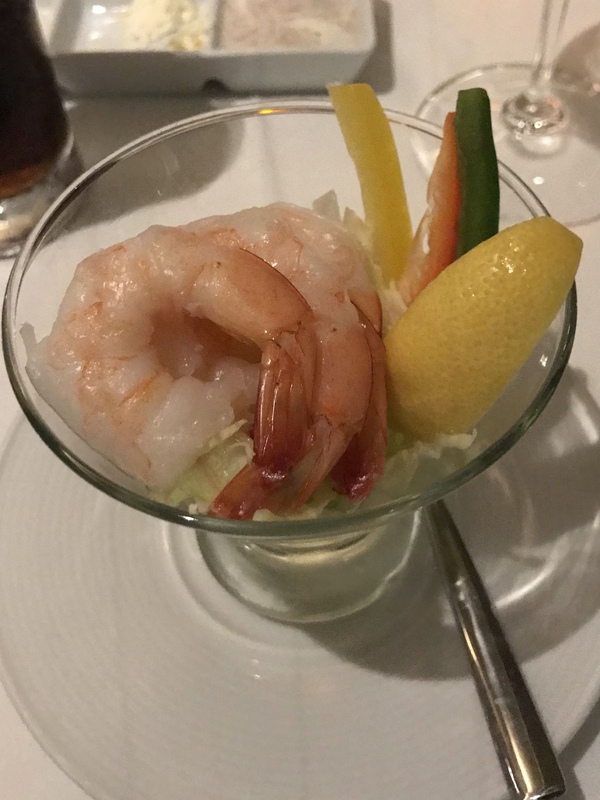 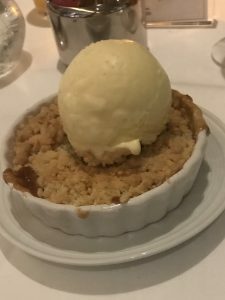 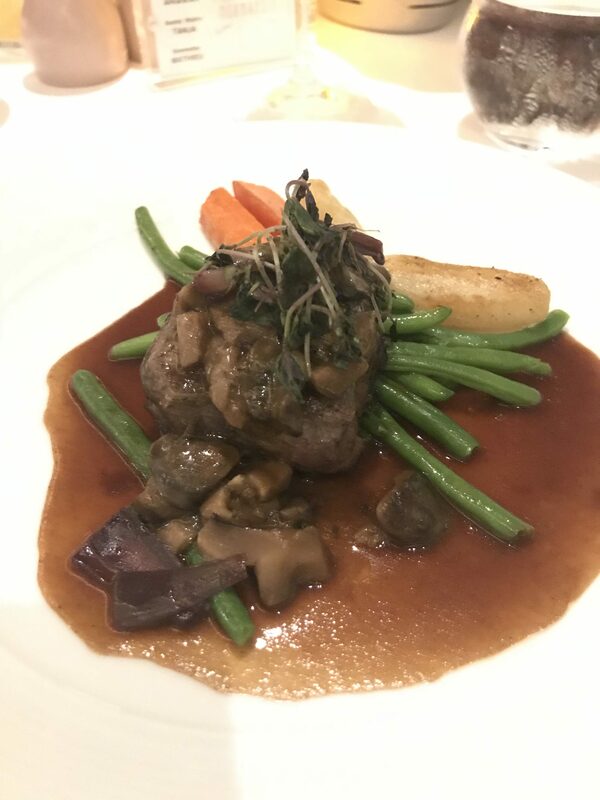 During our cruise, we were given the option to also sample dishes from the other 3 main dining rooms as well. 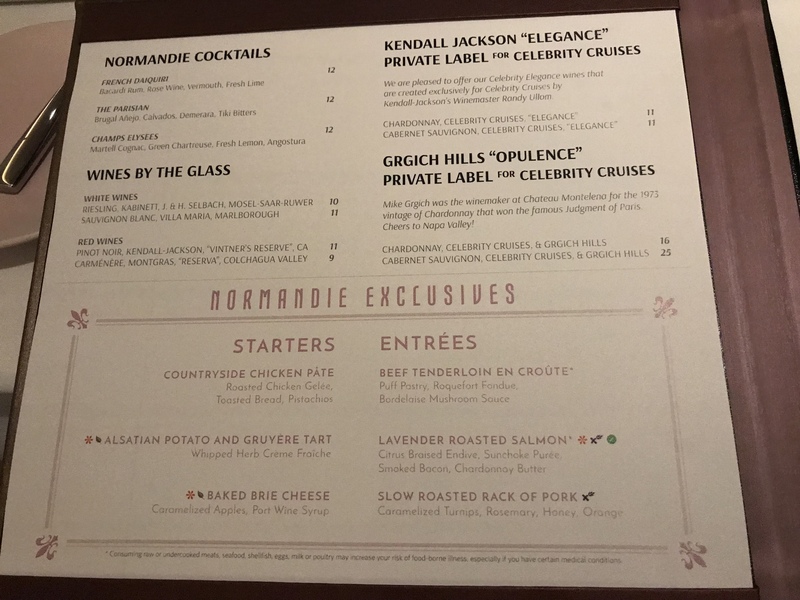 and I with the Baked Brie. 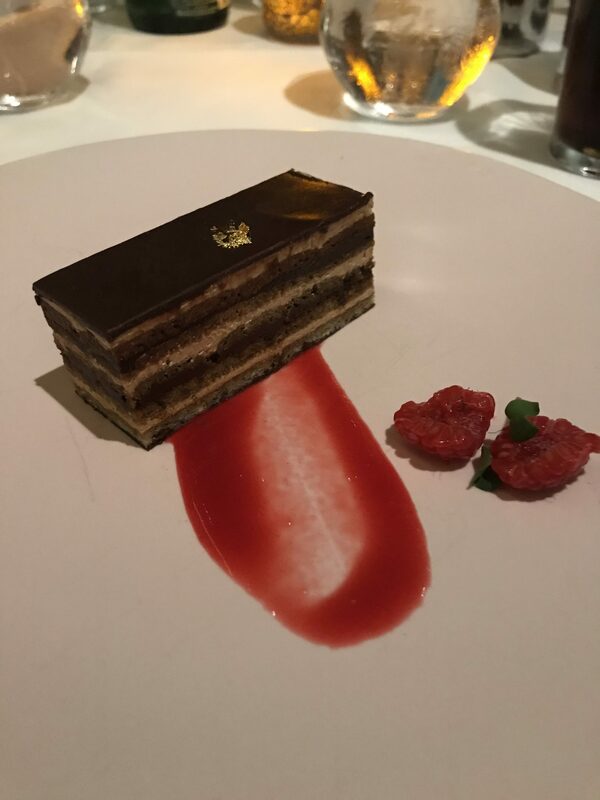 For dessert, the Opera Cake was OUTSTANDING! 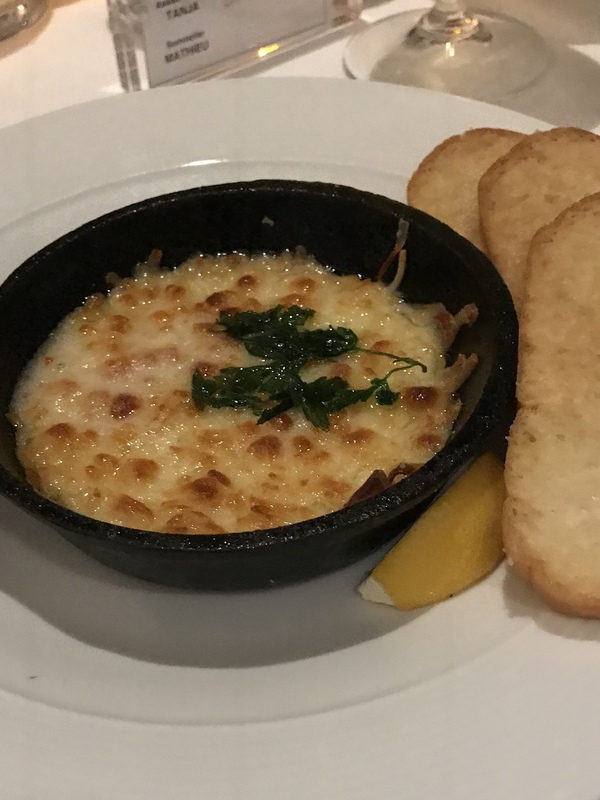 I was able to order the Hot Melted Cheese Saganaki from Cyprus one of our table mates had the night before that was DELICIOUS! 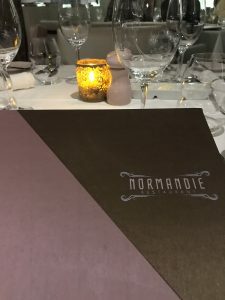 It was not offered on tonight’s menu in Normandie, but our server was able to bring me one and I absolutely enjoyed it! 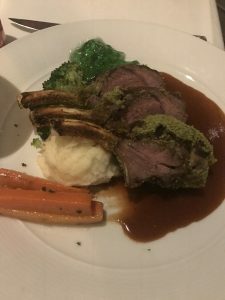 and Mike had rack of lamb, which he loved as well. 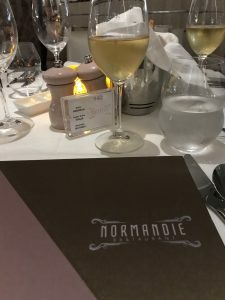 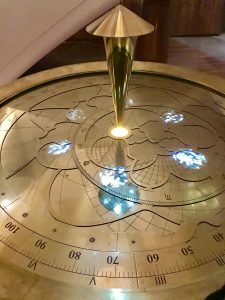 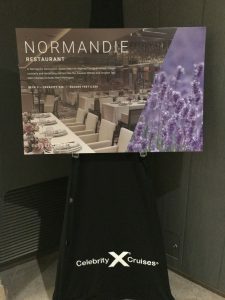 On our second full day on board, we were given the opportunity to get a taste of each location on board- so mike and I took the tour and Normandie offered Chicken Pate with The Parisian cocktail which were both very good as well. As you know, I already LOVE their Hot Melted Cheese Saganaki appetizer but when we tried to get a sampling during our self guided tour of the restaurants, their table was always empty. 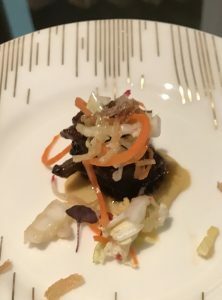 The Cosmopolitan Restaurant had a sampling of their BBQ Glaze Short Rib and Rose and Mary Cocktail available- which was outstanding as well. 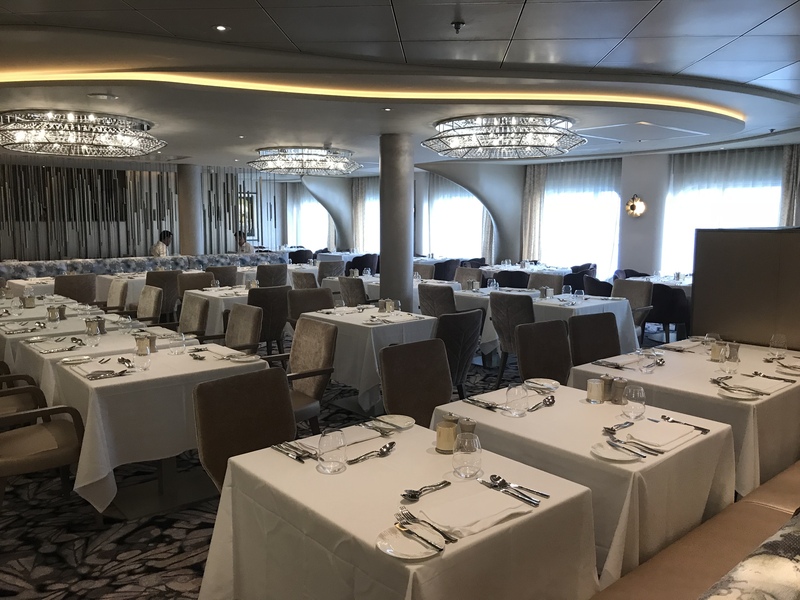 On our Disembarkation Day, we chose to have breakfast in this elegant setting… far more relaxing than the buffet! 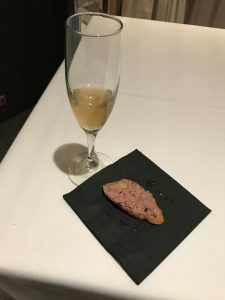 The nearby Tuscan Restaurant had a sampling of Slow Roasted Porchetta and their Fizzing Thyme cocktail available. 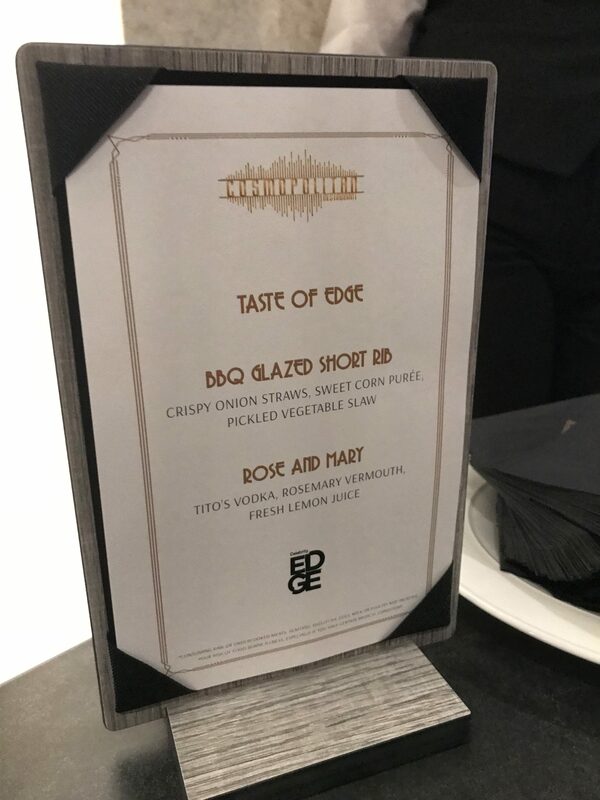 Both were delicious! 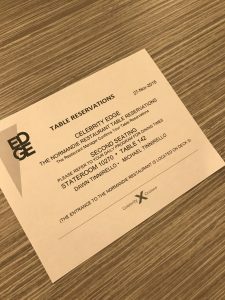 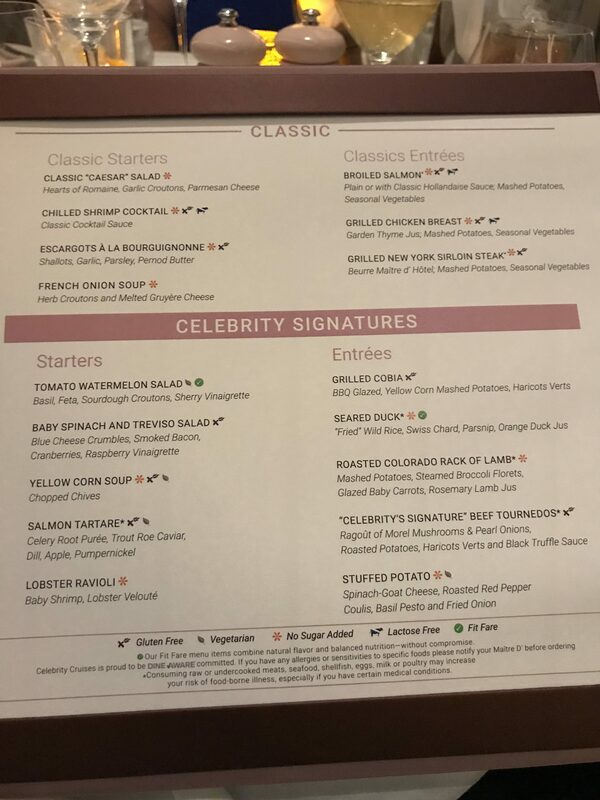 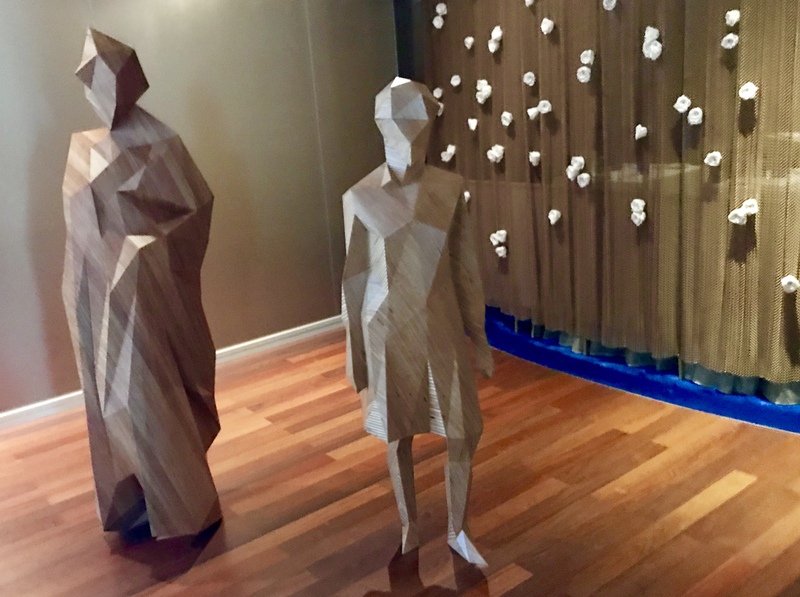 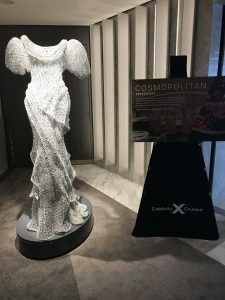 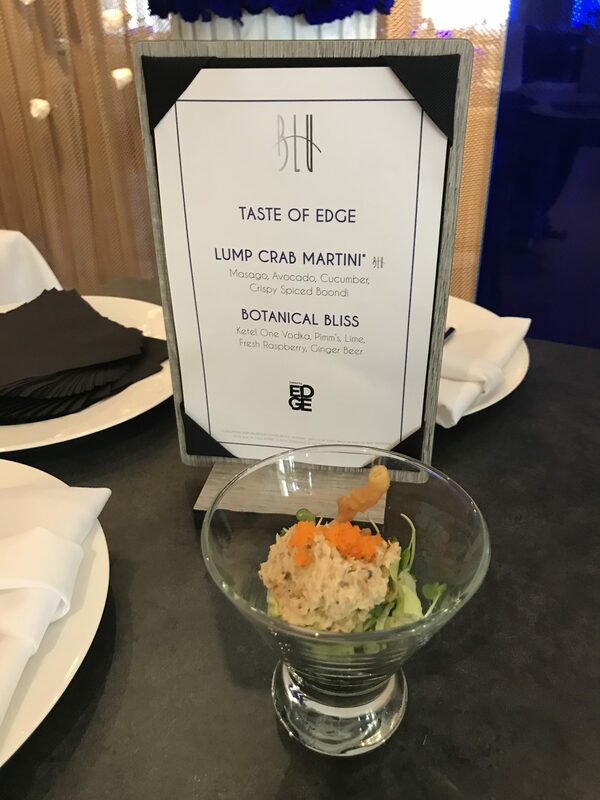 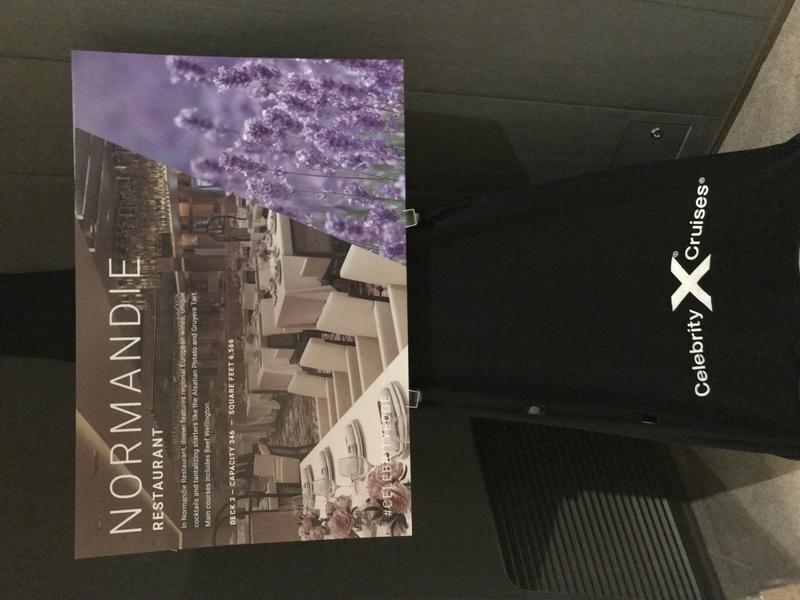 This entry was posted in Celebrity Edge, Celebrity Edge Preview Cruise. Bookmark the permalink.